The NY Times Sunday Magazine inside cover featured this photo of chalk art that we created with the local community for a May Day rally in Oakland. It was one in a series of political chalk art pieces FJP did in Oakland’s City Hall plaza, locally referred to as Oscar Grant Plaza. We have done other chalk art pieces in LA, Berkeley and Grass Valley, CA. 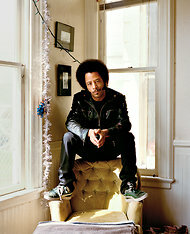 Boots Riley is a rapper and activist who doesn’t want to see capitalism reformed; he wants to see it toppled. Mayor Jean Quan has feuded with her own police department, complicating the response to Occupy Oakland. Protesters during the march on May Day. No central action was planned. 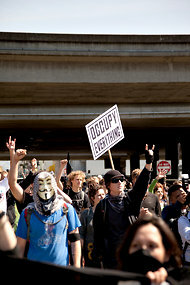 A coalition of labor unions had asked Occupy Oakland, with its proven ability to turn out large numbers of militant activists, to blockade the Golden Gate Bridge, but then withdrew the request at the last minute. 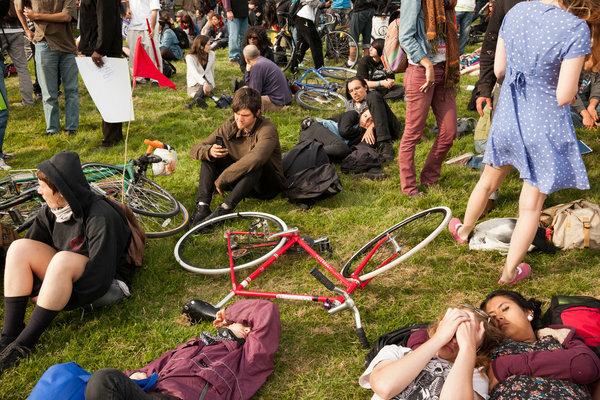 Instead, thousands of Occupy protesters met at various “strike stations” and fanned out into the streets with shields and gas masks (or the homemade alternative: bandannas soaked in vinegar), transforming downtown Oakland into a roving carnival of keyed-up militants of every shape and size: graduate students, tenured professors, professional revolutionaries, members of the Black Bloc, dressed like ninjas, their faces obscured. Joints were passed, but this was not a mellow crowd. A barefoot man known as Running Wolf grabbed an American flag from outside a popular cop bar and dragged it behind him. Packs of protesters charged into businesses, overturning tables, shattering windows and smashing A.T.M.’s. An activist spray-painted vulgarities on the window of a Bank of America branch. The Menace was loose again, as Hunter S. Thompson wrote about a different group of rabble-rousers, the Hell’s Angels. This riot had a soundtrack, too, a cacophony of chants — “Strike! Take Over!” and “Take Back Oakland! Kick Out the Yuppies!” — overlaid with beating snare drums and the rhythmic thump-thumping of the police and news helicopters hovering overhead. As the swarm made its way down Broadway, shouting, pounding on windows and throwing bottles at stores, two Asian immigrants hastily boarded up their small, sad-looking beauty-supply store. When I tried to talk to one of them, he shooed me away — “Too busy” — and reached for another board. A few blocks away, I spotted Phil Tagami, a real estate developer who has taken to standing guard in the lobby of his downtown office building with a shotgun during protests. Dressed in black fatigue pants and combat boots, he was scuffling with a group of activists who were trying to force their way into another upscale cafe called Rudy’s Can’t Fail. Clusters of cops in riot gear stood impassively outside a few strategic locations. Others jogged around the city in formation. 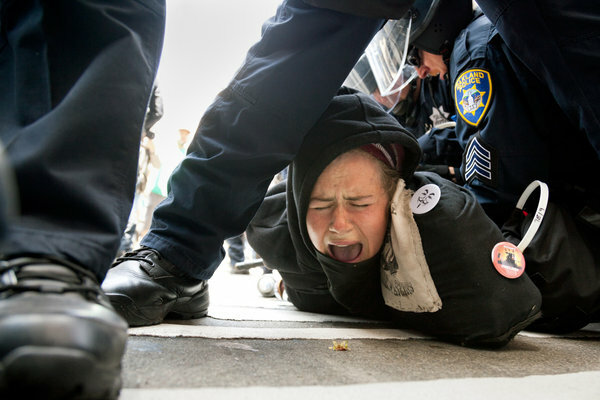 At one point, a few officers knocked a protester in a black hoodie off her bicycle, pushed her facedown on the ground and roughly zip-tied her hands. 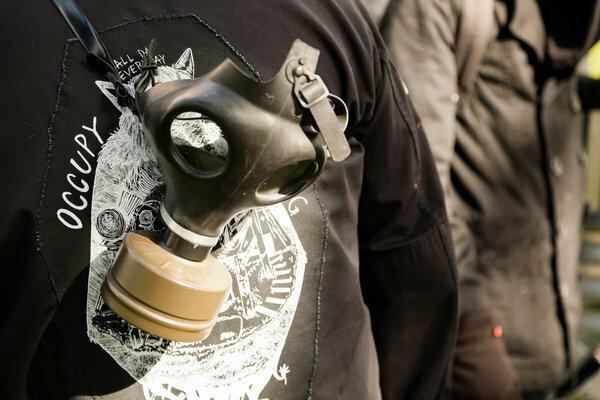 An angry crowd quickly converged, chanting, “Pigs go home!” Then there was a pop — the firing of a tear-gas canister — and a cloud of chemical smoke quickly swept across the block, temporarily dispersing the protesters. As the activists collected at the intersection outside City Hall, Scott Olsen, a 25-year-old Iraq war veteran who was shot at close range in the head last fall with a beanbag round by the Oakland Police, rolled a cigarette and calmly observed the chaos through glazed blue eyes, his long, stringy blond hair protruding from beneath a protective helmet. He looked less like an ex-Marine than a stoned, skinny teenager who had gotten lost on his way to the skate park. I asked him what brought him out. “I can’t stay home on a day like this,” he said. 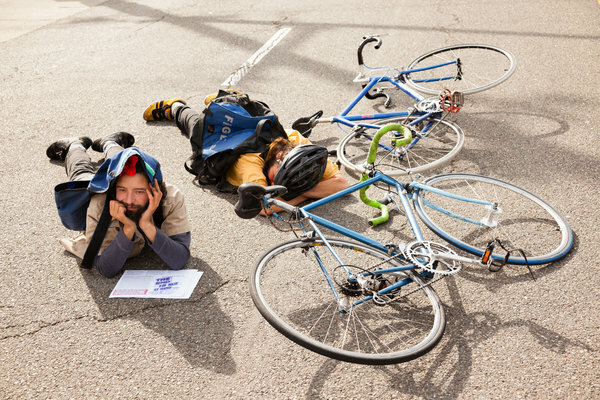 Last spring, as the Occupy movement struggled, vainly, to recapture its lost energy in New York and elsewhere, in Oakland it remained vital. Occupy Oakland was the show that wouldn’t close, complete with its own cast of celebrities, including Olsen, the movement’s Ron Kovic; Tagami, the city’s Charles Bronson; its mayor, an ex-radical herself; her countless critics; and Oakland’s infamous police department — O.P.D. In a sense, Oakland is the last place you would expect to find the most stubbornly active outpost of the Occupy movement. It’s a city almost entirely devoid of financial or corporate institutions, a city that “capital” fled decades ago. The shimmering skyscrapers of downtown San Francisco, packed with Pacific Heights investment bankers and venture capitalists, are all of 12 minutes away. Silicon Valley, bursting at the seams with dot-com millionaires, isn’t much farther. Why not take the fight there, to a more plausible surrogate for Wall Street? Maybe because Occupy Oakland, whether its leaders have articulated it or not, isn’t a protest against what Oakland is, but rather what it’s in danger of becoming. Oakland may be broke, but all of the wealth being generated in its immediate vicinity needs someplace to go, and some of that wealth is already beginning to find its way to Oakland, to a place that has long been the catch basin of America’s radical energies and personalities. Running parallel to this history of political militancy is a history of lawlessness. In the early 1970s, when the Hell’s Angels were scandalizing America, their most infamous clubhouse was located in East Oakland. The Oakland native Felix Mitchell was one of the first to scale up corner drug-dealing into a multimillion-dollar, gang-controlled business. On his death — he was stabbed in Leavenworth in 1986 — the city gave him a hero’s send-off: thousands came out to see his coffin borne through his old East Oakland neighborhood by a horse-drawn carriage trailed by more than a dozen Rolls Royces and limousines. In Oakland, the revolutionary pilot light is always on. At the dawn of the 20th century, the Oakland writer and social activist Jack London said this to a group of wealthy New Yorkers: “A million years ago, the cave man, without tools, with small brain, and with nothing but the strength of his body, managed to feed his wife and children, so that through him the race survived. You on the other hand, armed with all the modern means of production, multiplying the productive capacity of the cave man a million times — you are incompetents and muddlers, you are unable to secure to millions even the paltry amount of bread that would sustain their physical life. You have mismanaged the world, and it shall be taken from you. It’s a dream that still exists in Oakland — that the world can be taken from the haves and delivered to the have-nots. Like all dreams that are on the brink of being extinguished, its keepers cling to it with a fierceness that is both moving and an extreme exercise in the denial of the reality that is at their door. Riley was getting dressed as we talked, combing out his black-power Afro with a cake cutter, a once-popular African-American grooming accessory that he now has to order from online cooking sites. He covered his face unevenly with shaving cream and carefully sculptured his prominent sideburns — tapered muttonchops that stretch to the corners of his mouth like a pair of giant peninsulas. Virtually anywhere else, Riley would look and sound about as out of place as someone speaking Old English in colonial dress. But in Oakland, a kind of Amish village of retro-radicals, he makes perfect sense. In Oakland, Riley is radical royalty, which in hard-left circles helps offset the somewhat credibility-undermining fact that he’s also a legitimate hip-hop star, albeit one with a mostly cult following. His father was an N.A.A.C.P. pioneer, militant organizer and civil rights lawyer who met Riley’s mother at a 1968 student strike at San Francisco State University. Hanging in Riley’s kitchen is a picture of him as an infant, clutching a copy of Frantz Fanon’s “The Wretched of the Earth,” an anti-colonialist manifesto that was required reading for radical ’60s activists. Many local radicals come to Oakland via a nearby U.C. 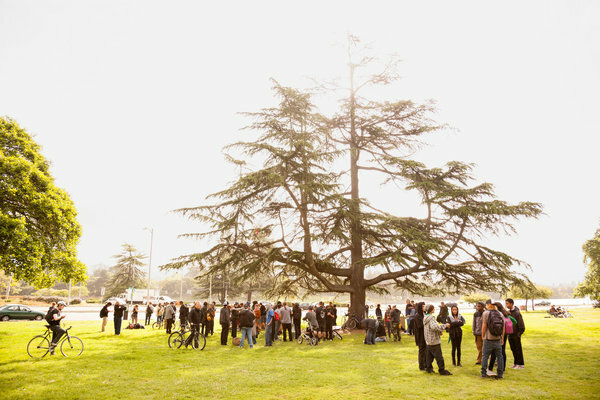 campus: Berkeley, Davis or Santa Cruz. Riley is Oakland-bred. The first action he ever led, at age 15, was a strike to protest budget cuts at his predominantly black public high school. The rapping came later, after the rise of politically conscious, militant hip-hop. There’s a long history of popular musicians taking up revolutionary causes. Riley inverted the equation: He was a revolutionary who turned to music to get his message out to more people. His band is called the Coup — as in coup d’état. Riley’s politics are extreme. He doesn’t want to see capitalism reformed; he wants to see it toppled. “We need a system that’s not based on profit, but that’s based on helping people, that’s based on some sort of mutual control of resources,” he says. Recently, Riley has been trying to channel the radical energies that Occupy Oakland unleashed. He’s less interested in smashing windows — “that’s a tactic that . . . immediately draws a line between you and the people” — than in gathering new circles of supporters. This can be a challenge given the movement’s local record of vandalism and destruction. Later that spring afternoon, I joined Riley as he canvassed a strip mall to let people know about an upcoming protest at a home-foreclosure auction. It’s strange to think of Oakland, with its 19 miles of coastal waterfront, as a rust-belt town, but that’s exactly what it is. In the late 19th century, Oakland Point was the western terminus for the transcontinental railroad, which, coupled with the city’s access to the sea, made it an ideal destination for factories, canneries and warehouses. During World War II, Oakland’s factories and shipyards churned out warships at a furious pace, providing jobs to tens of thousands of black migrant workers from the South. From 1940 to 1945, Oakland’s African-American population more than quadrupled. The influx of blacks ultimately drove many white residents either to the suburbs or north into the hills. Over the course of the ’60s and ’70s, the jobs disappeared, and the city spiraled downward. Oakland is now a sprawling and diverse but segregated city of about 400,000, a real-life Monopoly board that operates on a de facto economic principle of urban design: it gets poorer and more dangerous as you descend from the eucalyptus-scented hills into the urban flatlands. Its downtown is still lined with architectural masterpieces, decaying reminders of the city’s haute bourgeois past amid unmistakable signs of a diminished present — like grand prewar hotels that have been converted into Section 8 housing. Oakland’s civic core, such as it is, is shrinking. The city has three professional sports teams. One team, the A’s, are trying desperately to relocate to San Jose. Another, the Raiders, may wind up in Los Angeles soon — again. (The city continues to pay about $20 million a year for the deal that brought them back to Oakland.) The third, the Golden State Warriors, who conspicuously refuse to include “Oakland” in their name, are preparing to move to San Francisco. Oakland is $2 billion in debt and counting. To balance its precarious budget, the city has been reduced to crude accounting tricks like selling the Kaiser Convention Center — shuttered in 2006, when the city could no longer afford to maintain it — to its own redevelopment agency for $28 million. For a few weeks last fall, Mayor Jean Quan could look out her third-floor office window and into Occupy Oakland’s teeming encampment, where, among other goings on, Running Wolf was living in a tree house in an old oak, lowering his waste down in a bucket. Quan’s first instinct when the tents rose on Oct. 10 was to let the protesters stay. There were just a few issues that needed addressing: the illegal open fires, the unauthorized and possibly dangerous use of City Hall’s power outlets, the 911 calls reporting incidents of violence and sexual harassment inside the camp. Once Quan decided later in October to dismantle the camp, everything that could possibly go wrong did. The police moved in on the morning of Oct. 25, a day before she was expecting them to, and while she was on her way back to Oakland from Washington. During the raid, they injured an Iraq war veteran, of all people. 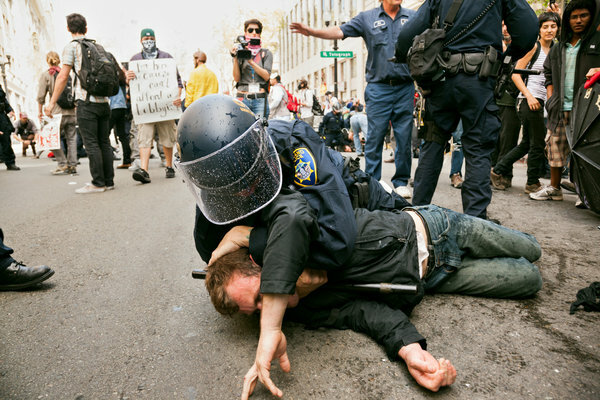 The police union, for its part, publicly criticized the mayor for sending “mixed messages” about Occupy. On Nov. 14, she kicked the protesters out of the plaza for a second time. By that point, Quan’s popularity was in free fall. In December, her approval rating dropped to 19 percent, and she became the target of two recall efforts (both of which have been abandoned). 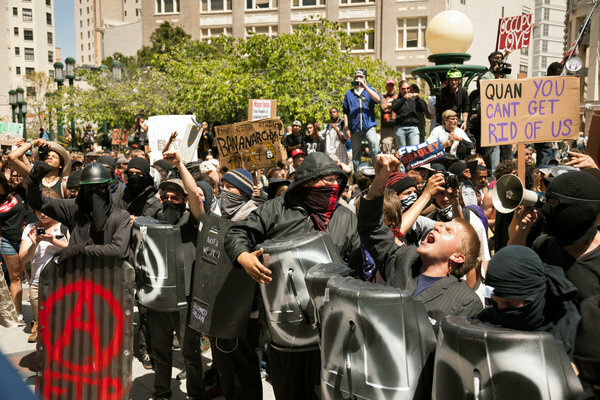 Several weeks later, on May Day, the protesters were again rampaging through Oakland. By the time Riley and I arrived at the home-foreclosure auction at the Alameda County Courthouse, dozens of protesters were already trying to push their way into the building via a side entrance. The crowd parted for Riley, and he wove his way toward the metal detector in the entryway. A muscular African-American police officer blocked his path. Riley grew annoyed. “You didn’t listen to any of the lyrics,” Riley interrupted. “Yes I did,” the officer replied. Hundreds of protesters soon gathered on the courthouse steps, chanting: “Hey, hey! Go home! Our house will not be sold today!” No one was quite sure what was going on. Was that the auctioneer they had seen walking to his car? Had the auction been postponed? Oakland’s chief of police, Howard Jordan, a 23-year member of the force, had the misfortune of taking over the department three days after the first Occupy Oakland encampment went up. “Our chief goal has always been to facilitate people’s right to assemble and give them a right to exercise their First Amendment rights,” he told me shortly after May Day in his office at Police Headquarters, which overlooks a medical-marijuana dispensary, Oakland Organics. That’s not exactly how it has looked in viral videos of flash grenades and police-baton beatings at Occupy Oakland protests. In February, the federal monitor charged with overseeing the Police Department said he was “thoroughly dismayed” by some of its behavior. In particular, he criticized the department’s “overwhelming military-style” response to the Occupy protesters. The clashes that took place the night Scott Olsen was injured triggered a record number of internal-affairs complaints. The department has since missed its court-imposed deadline for investigating these complaints; to expedite the process, it outsourced the cases to law firms and investigators, an added expense of $750,000. Jordan was not going to be unprepared for May Day, calling in hundreds of mutual-aid officers from neighboring towns, including SWAT teams. The day proved to be a relative success for the Police Department. Considerable damage was done to the city, and one police car was set on fire, but tear gas and other so-called nonlethal munitions were used only sparingly. There were no serious injuries, and only 39 protesters were arrested, compared with 400 at the last major Occupy action. But Occupy is just the beginning of Jordan’s problems. On the most basic level, his department can’t protect its citizens. Budget cuts continue to reduce the size of the force — to 640 today from 800 officers in 2010 — even as incidents of violent crime continue to rise: Oakland’s murder rate is up 5 percent over last year, when 110 were killed, and robberies are up 24 percent. Oakland’s police force already consumes more than 40 percent of the city’s general-purpose fund. Clearly, this is not enough. After a round of layoffs in 2010, the department announced that it would no longer respond to burglaries and break-ins that were not in progress. (They have since amended the policy so officers will now respond to home burglaries “when possible.”) Officers have not discouraged store owners in especially dangerous neighborhoods from arming themselves. The department’s every move is scrutinized by federally appointed independent monitors, a result of a settlement agreement reached with the city in 2003, when four Oakland police officers were accused of planting evidence, falsifying reports and using excessive force. It gets worse. The department’s efforts to comply with the settlement agreement and implement reforms have cost it millions in extra payments to independent consultants. And that’s in addition to the $57 million the department has paid over the last decade to settle various police-misconduct lawsuits. His successor, Jordan, now finds himself dealing with a demoralized force, only 15 percent of whose officers actually live in Oakland, according to Quan. Jordan is also dealing with a community that doesn’t trust the men and women sworn to protect them. Like everything else in Oakland, the negative perception of the department is entangled with the city’s history: in the aftermath of World War II, Oakland’s municipal leaders recruited white Southerners to police their increasingly black city. We were sitting on the second floor of Oakland’s deserted City Hall, a gorgeous, cream-colored, Beaux-Arts wedding cake of a building — America’s first government skyscraper — that rose from the rubble of the Great Earthquake of 1906. Downstairs, police officers in riot gear stood guard in front of the building’s entrance. Their presence was by no means a symbolic gesture: when Occupy protesters turned out en masse for an action in late January, City Hall was ransacked. Windows and glass display cases were smashed, flags stolen and burned, an architectural model of City Hall itself toppled. De La Fuente, a small, tough-looking man with a raspy, Spanish-inflected voice, sneaked across the Mexican border in 1970, unable to speak a word of English. He started out as a dishwasher, then became a machinist and labor leader. He was elected in 1992 to Oakland’s City Council as part of a wave of left-wing political reformers fighting for impoverished neighborhoods devastated by unemployment, crack cocaine and municipal neglect in the ’80s. Oakland can have a peculiar effect on progressive politicians. In 1999, the corporate-America-bashing former-and-future California governor Jerry Brown swept into the mayor’s office and promptly set about undertaking an ambitious, aggressively pro-business agenda for the city. Brown, who had a Labrador named Dharma, was soon cozying up to real estate developers, lobbying the state to loosen its environmental review process on urban construction and conjuring visions of a new Oakland, with a downtown ballpark for the A’s and a luxury resort hotel and casino. The centerpiece of his redevelopment plan, the 10K Project, was to lure 10,000 well-off residents to gleaming downtown condominium towers, establishing a new tax base and driving the growth of retail stores and restaurants. As if on cue, a loud bang rang out — the detonation of a flash grenade from the Oakland Police. Their small capitalist enterprise — named to evoke the famous anti-capitalist tract — represents another side of Oakland, albeit one that’s still in its infancy. Think of it as a less twee, more D.I.Y. version of artisanal Brooklyn. Oakland even has its own take on the Brooklyn Flea, known as the Art Murmur, a sprawling hipster street fair, cultural bazaar and gallery-and-pub-crawl. At the Flea, you can buy refurbished manual typewriters; at the Murmur, you can buy Sharpie-on-foam-cup drawings by a local artist. The collision between Oakland’s growing cadre of small-business owners and the local Occupy movement has produced some memorable moments of low comedy. In November, 30-year-old Alanna Rayford, who owns a showroom for local fashion designers in a Gothic Revival building downtown, closed up shop to join the march to the port. She returned the following morning to find the windows of her store smashed and some artwork missing. One of the paintings, a gorilla smoking a blunt, had been placed on prominent display at the entrance to the Occupy encampment. Investment money tends not to flow into cities with soaring violent-crime rates and large numbers of militant nihilists for whom revolution is less a branding opportunity than an active, ongoing goal. And Governor Brown just eliminated the state’s economic redevelopment agencies, which will make it much harder for small businesses to open in Oakland. Like pioneers in an unsettled urban frontier, Oakland’s small-business owners have had to band together. They are talking about creating an emergency fund for those who can’t cover their payments in a given month and are experimenting with the reseeding of neighborhoods. Recently, a “pop-up hood” appeared in Old Oakland, the city’s original downtown. Six small businesses temporarily operated rent-free in order to test the viability of adding retail stores to a quaint enclave that has been experiencing a boomlet in bars, restaurants and residential conversions and construction. For all its fragility, a transformation is clearly under way in Oakland. The tent poles of the new American city have already arrived — the urban bike shops, the restaurants with locally sourced fare, the cafes with fair-trade coffee, a Whole Foods. There is a distinctly Oakland character to many of these businesses — Awaken, whose menu includes a Santa Cruz-brewed ginger ale at $3.50 a bottle, says its mission is to “bring people together and launch movements” — but it’s an unmistakable part of the same trend that has been taking hold across urban America for years. It is, in a word, gentrification, and what’s most striking about its arrival in Oakland is that it’s just now getting there — that the city has existed for so long as a kind of living museum of 1970s radicalism, its culture of militancy, poverty, crime rates and dysfunctional government all conspiring to delay what now seems inevitable. “For years, Oakland has been the black hole in the middle of the great galaxy of Northern California as it shimmered its way into the electronic age,” says Richard Walker, an urban-geography professor who recently retired from the University of California, Berkeley. 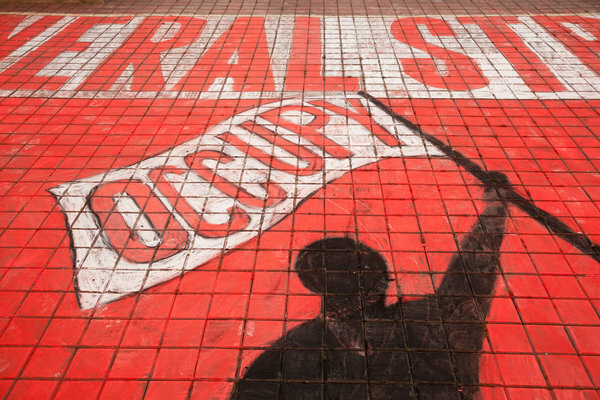 In this context, May Day — and Occupy Oakland, more broadly — looks less like an expression of the city’s indomitable radical spirit than the last gasp of a protest movement overmatched by the encroaching forces of capitalism. Oakland is simply too geographically well positioned and financially underexploited not to absorb the creative, professional and entrepreneurial overflow from more expensive places like San Francisco, Silicon Valley and Berkeley. 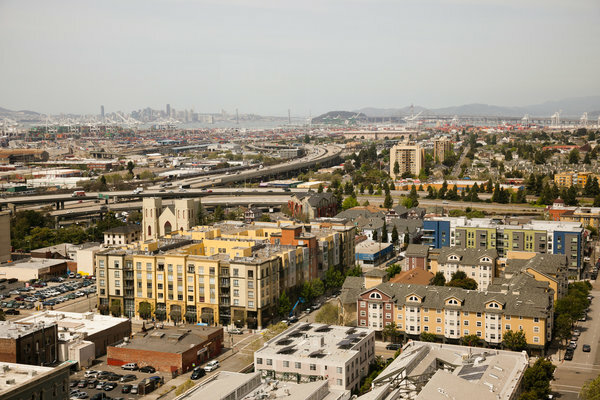 And as it continues to develop its own gritty-chic cachet, there’s a good chance Oakland might become more than just a default option for some of the Bay Area’s nouveau riche. What will this transformation mean for Oakland? It should produce a bigger tax base that can help improve city services and maybe even create a more effective police force. But gentrification is not a recipe for job creation. In the end, Oakland’s income inequality can only grow, making it not so different from so many other American cities. “You will still have poverty, decay and decline in the midst of immense plenty,” Walker says. The utopian vision for a post-capitalist Oakland clung to by Boots Riley and the rest of the city’s revolutionaries will soon be dead. But radical Oakland will live on, awaiting its next opportunity to rise up, even as the city itself evolves. For every young tech worker moving into a downtown condominium tower or entrepreneur gobbling up cheap, deserted retail space, there’s sure to be a militant graduate student drawn to a city that has just added another chapter to its long radical history. Ever since its encampments were dismantled, Occupy Oakland has been talking about reoccupying a public space and establishing a new beachhead for the revolution. Earlier this year, the protesters tried, unsuccessfully, to take over the abandoned Kaiser Convention Center. On May Day, rumors were rampant that after the protests wound down, they would take back the City Hall plaza. As dusk fell, thousands of activists converged on City Hall, dancing, drumming, distributing leaflets for their various revolutionary movements. The threat worked. Soon, just a few hundred determined protesters remained, rattling their metal shields, hurling obscenities and glass bottles at the police. The Menace’s last stand. Only this group was small enough to manage. The police charged the crowd, pushing it north up Telegraph Avenue. People raced past Awaken, with its “We Are Oakland. We Are the 99%” signs. The cafe’s tattoo-covered owner hastily unlocked the door to let a few fleeing protesters in as the riot cops chased the retreating herd from downtown. A version of this article appeared in print on August 5, 2012, on page MM38 of the Sunday Magazine.